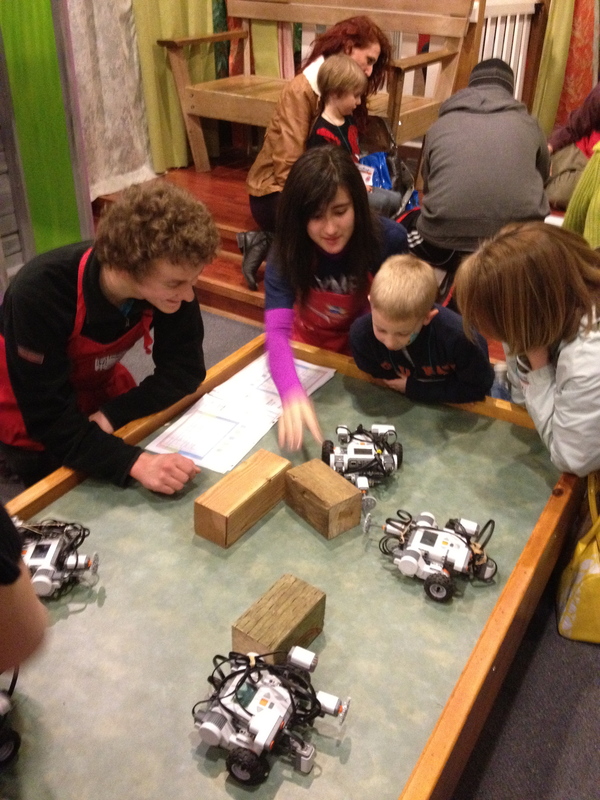 OSD STEM Robotics students from Olympia and Capital High Schools, as well as Jefferson and Marshall Middle Schools provided demonstrations and hands-on programming experiences for a recent Mother/Son Robot Adventure evening at the Hands On Children’s Museum. The Introductory STEM Robotics students did a great job of adapting their Robotics know-how for these young engineers. A good time was had by all and our students have already been invited back to the next event.